Pancho Rico Creek Ranch is a 5,000 acre working cattle ranch and hunting outfitter ran by the Errea and Rossi family. 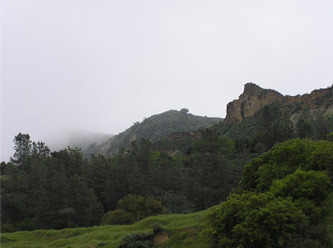 Our ranch is located between San Francisco and Los Angeles in Southern Monterey County. The ranch is a beautiful place to live and work. Co-owner, David Rossi runs our successful guided hunting operation. As a family we all come together to support our three cow-calf operations and our guided hunt operation. If you are interested in hunts, please check out our Guide Service page for more info and fill out an Information Request form. Please take a look around the site as we will be adding more photos and information. We love living here and sharing our knowledge and excitement of the land. Interested? Fill out our Information Request Form. Copyright (c) 2007 D Rossi. All rights reserved.